Hi everyone! Happy Thursday! I have a colorful Echo Park Fine and Dandy layout to share with you today. 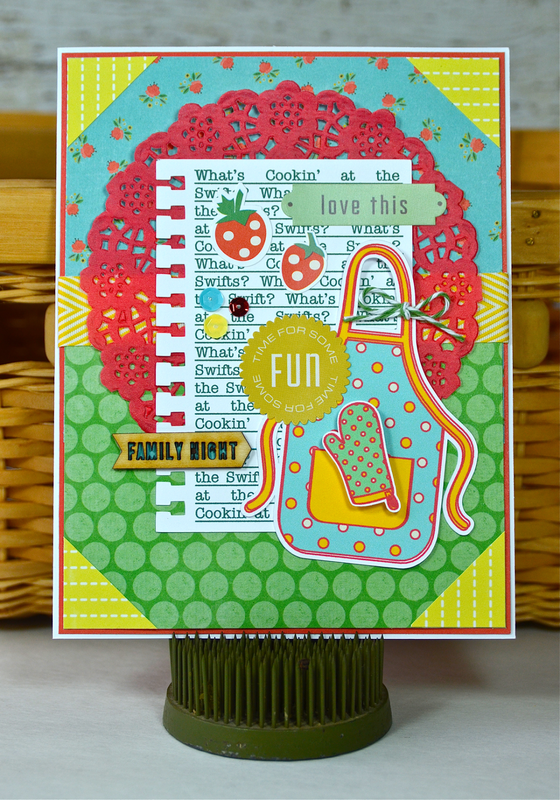 My assignment was to use this collection along with the "Happy Little Moments" Designer Stamp set. 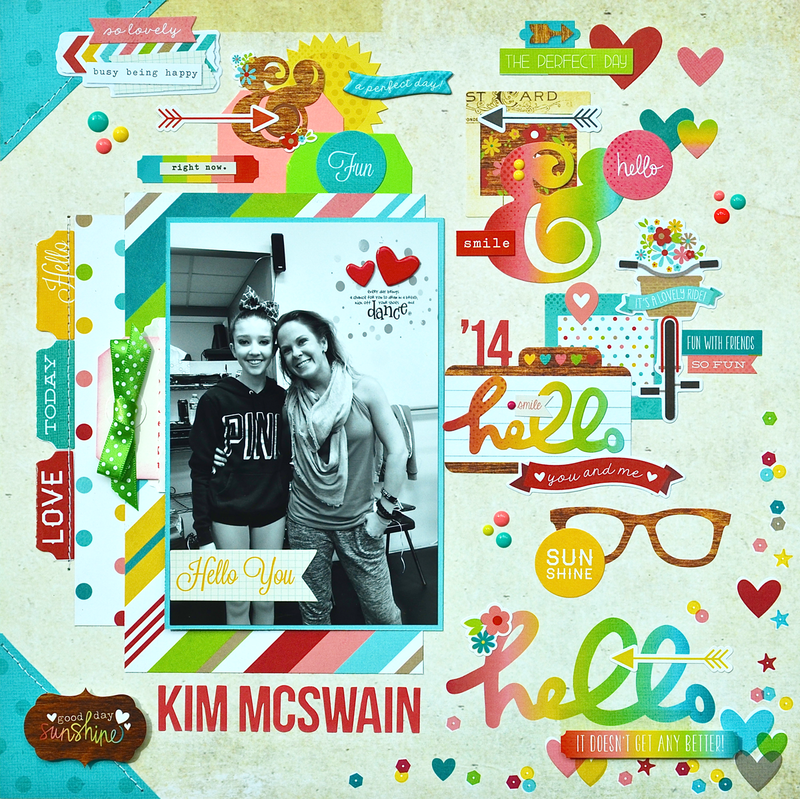 This is a super cute set with a great mix of icons and sentiments. 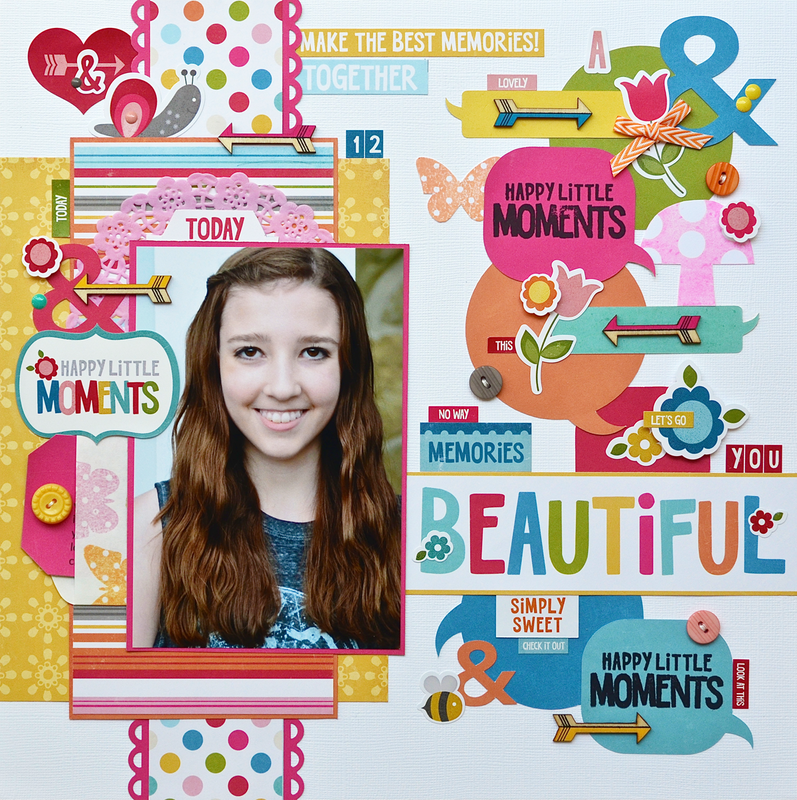 I used the "Happy Little Moments" sentiment along with the mushroom and butterfly stamps. I created the border on the right side of the page using an Echo Park thought bubble cut file. The ampersands are also Echo Park cut files. I cut the thought bubbles from various solid papers and layered them until I was pleased with their arrangement. After I adhered them, I started the embellishment process using stickers from the collection, buttons and wood veneer arrows. ETA: Linking up to Crafty Creations No. 23 at The Memory Nest. Last week I posted a giveaway to celebrate the milestone of reaching over 600 blog posts. 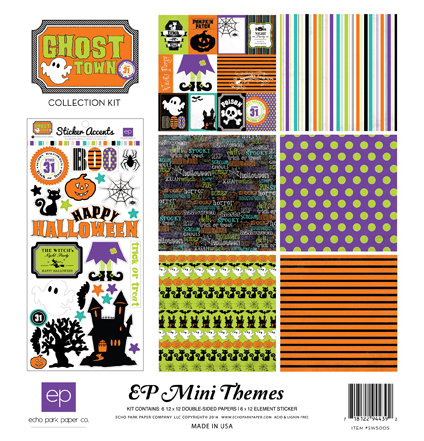 The randomly chosen winner will receive Echo Park's Princess and Ghost Town mini theme collection packs. So are you ready to find out who the lucky winner is? Congratulations to Heather from Houses Built of Cards! Congratulations! 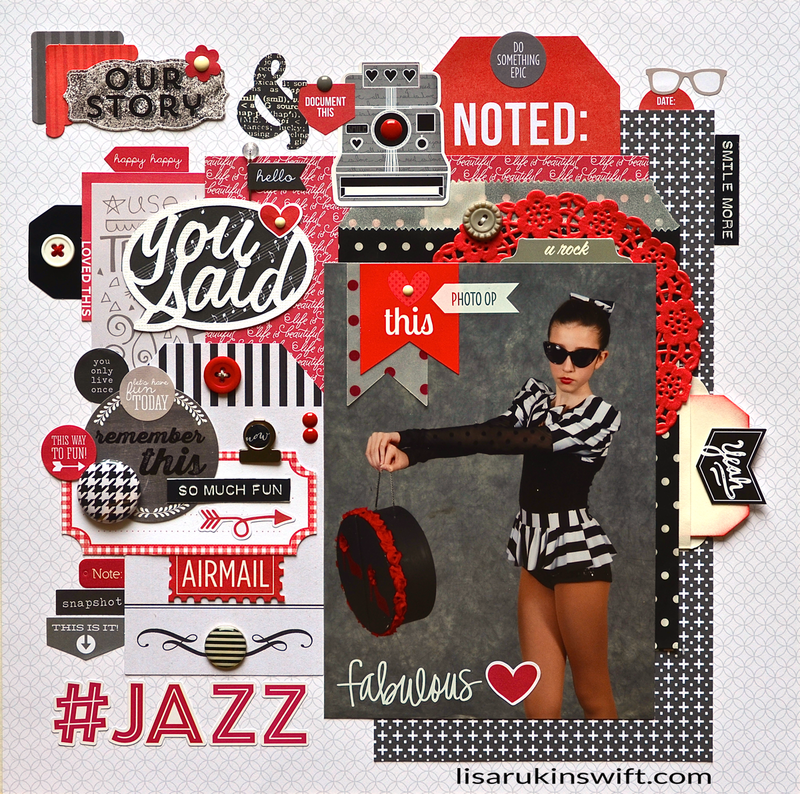 I love seeing your layouts - I'm a simple layout kinda person, and your creations never fail to amaze me! Echo Park recently released their July idea book. It's a free download (as are all of their idea books and PDF files). The book contains projects from both the Echo Park and Carta Bella design teams. I have three cards featured, including the one shown above. It's made with Echo Park's Capture Life Color collection. I replicated this card exactly using the Black and White collection and the difference is really striking. 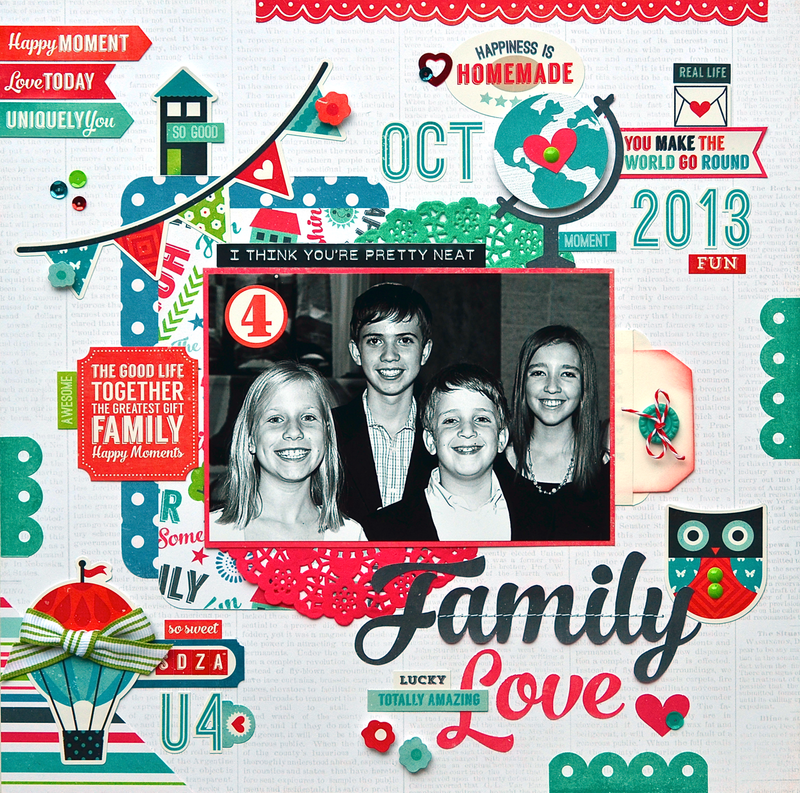 I also contributed a card (and sketch) made with the We Are Family collection. I hope you'll check the book out, not only because it's free and not only because I have projects in there. 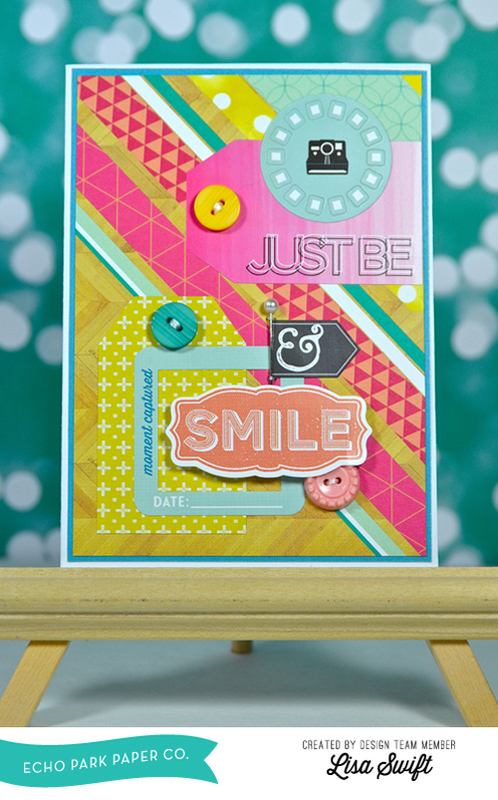 :) It really is full of inspiring ways to use Echo Park and Carta Bella collections! There's so much going on at Simple Stories and I want to share it all with you! 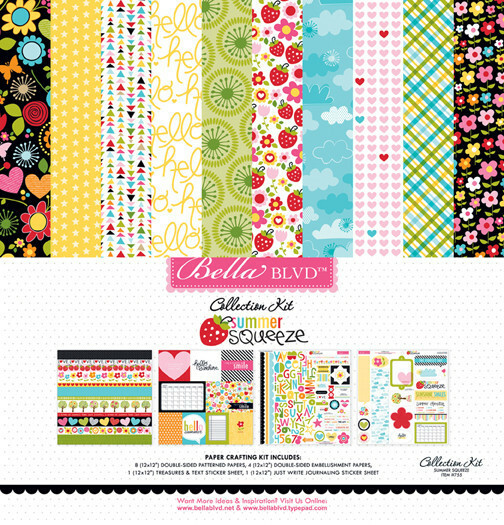 First off, Simple Stories released a new eBook featuring their Hello Baby collection. This is a free download (PDF) chock full of inspiration from the design team. Last, but not least, be sure to visit the Simple Stories blog all this week for new collection reveals. There's so much fun in store! My little blog has reached a milestone that calls for a celebration! Not just a celebration, but a giveaway too. What are we celebrating? Over 600 posts! 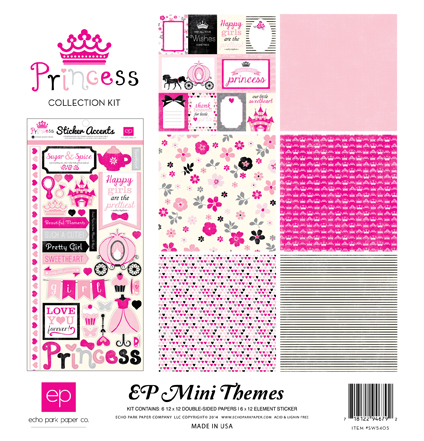 I will send two new Echo Park mini theme collection packs (Ghost Town and Princess) to one lucky, random winner. What do you have to do? Leave a comment telling me what you like about visiting my blog or an idea about something you'd like to see (maybe more of or something I haven't done). That's it. Easy, right? I'm sorry, but this giveaway is open to US residents only. My post office is a nightmare and it's much easier for me to ship right from home. I will post the random winner one week from today, on Wednesday 7/30. Good luck! It's time for a new linky party at Paper Issues. This one's called "Say Cheese" and it's all about photos — your favorite photos, vintage photos, Instagram photos and so much more. Be sure to check it out because there's an awesome Maya Road goodie bag up for grabs. You can find all of the details, plus some amazing inspiration from the design team, right here. Linking to Crafty Creations No. 22 at The Memory Nest. Hi everyone! Today I have a very "tweet" birthday card to share with you. 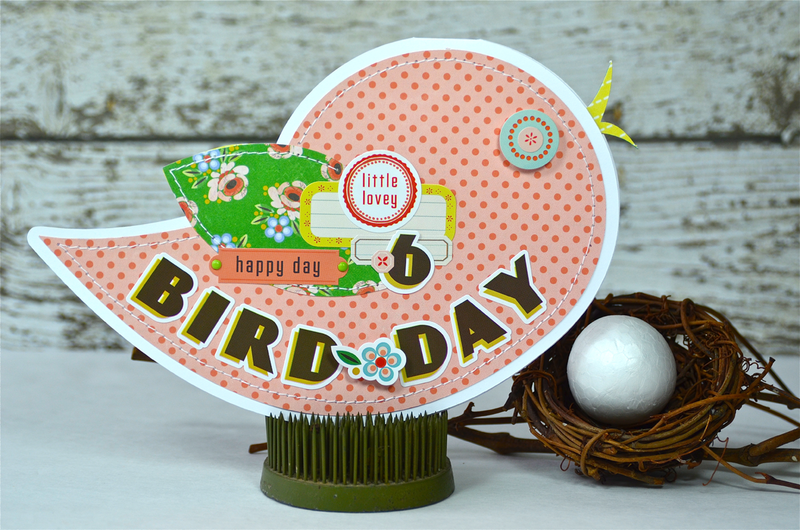 This one features Echo Park's new Simple Life collection and an Echo Park Silhouette cut file (bird). 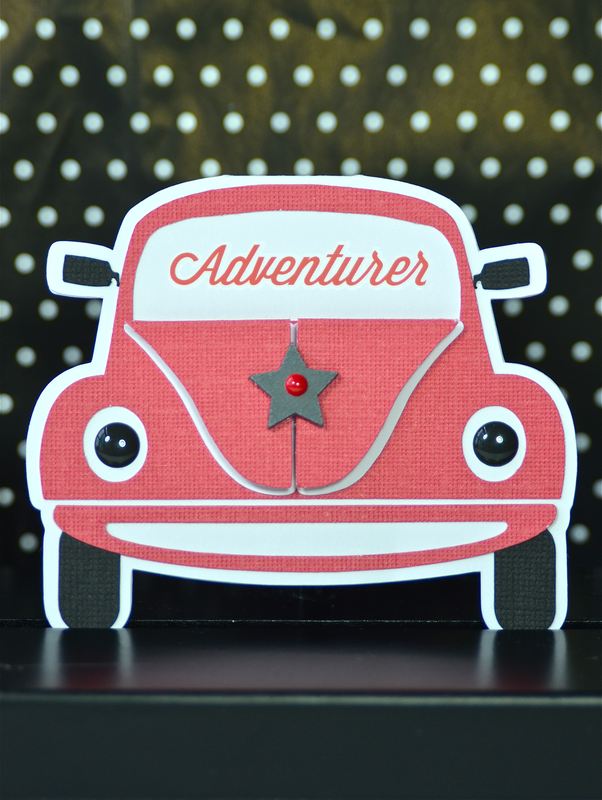 For details on how this card came together, please visit the Echo Park blog. That's it for blog posts from me this week. I'll be back next week. Have a great weekend! 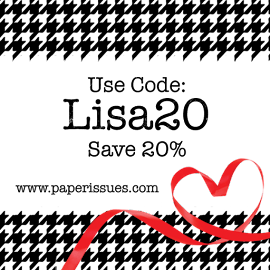 Simple Stories is partnering with May Arts ribbon and Xyron adhesives this week to bring you some wonderful and inspiring projects. 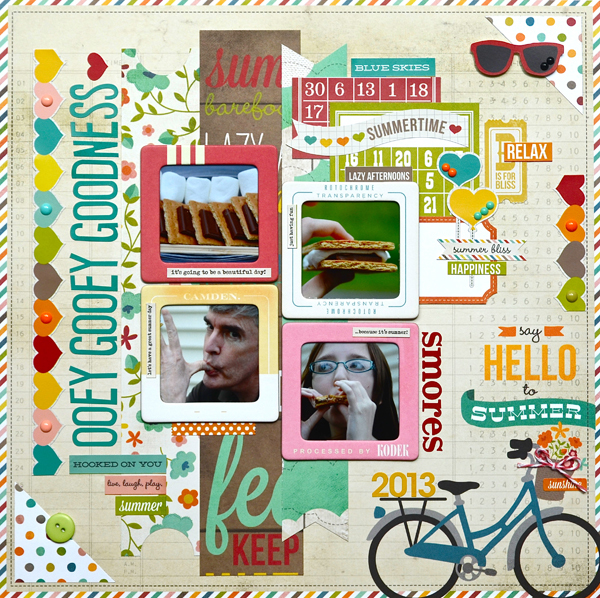 I created two layouts with the Good Day Sunshine collection (my latest fave). I'll share the other layout next week. It may look as if I pieced together a whole bunch of borders to create the base of this page, but the paper actually comes this way. 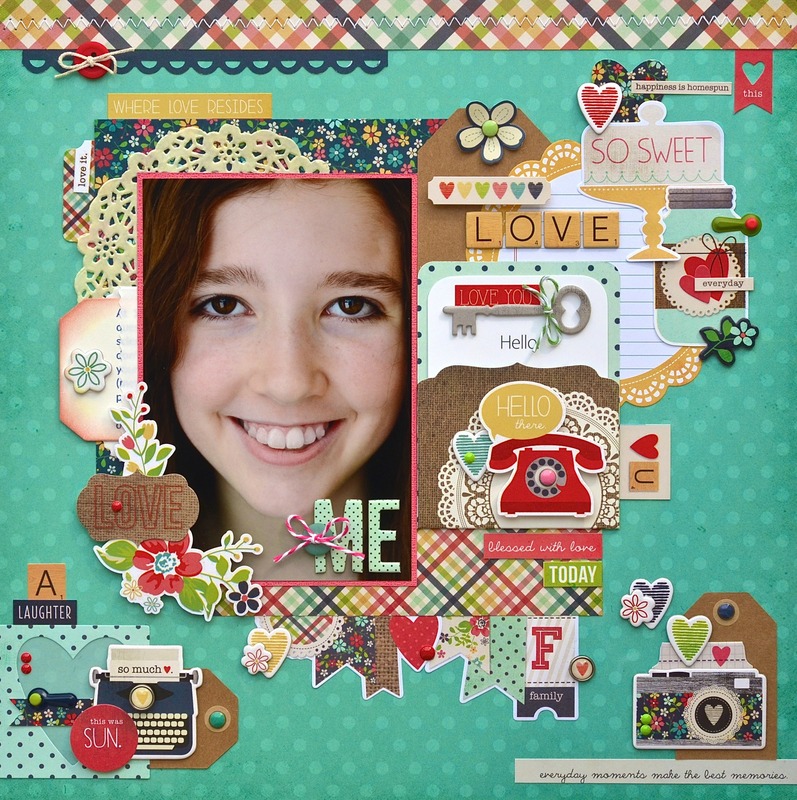 All I did was add my photo, a whole bunch of embellishments, and May Arts ribbon (my favorite chevron twill). I love how it turned out! To see detail shots of this page, please visit the Simple Stories blog. A couple of weeks ago, I shared a layout about Alexa's competitive tap number. Today I have another dance page to show you, this time about her jazz routine. As you can probably tell from the photo, it was a dance that required a bit of (ahem) attitude which Alexa had no problem pulling off. I actually had a good laugh during the umpteen times I saw this number performed. Alexa doesn't have an attitude even remotely like this in real life, but she was used as an example, over and over, by her teacher, in terms of the facial expressions and body language she wanted to see when the girls performed. Anyway, there's an eclectic mix of product on here, with the "base" being primarily Echo Park's Capture Life. There's also some Teresa Collins, Simple Stories and Pebbles Inc. too. Earlier this year, Alexa had the opportunity to take classes with choreographer Kim McSwain. When I started thinking about how to scrap this photo, I wanted to be sure to convey how happy Alexa was about this opportunity. Kim has such an upbeat, encouraging personality (she gave Alexa the nickname Giraffe-y Cathy because of Alexa's giraffe print hair bow (which she made herself, by the way) so I wanted to use a lot of color. 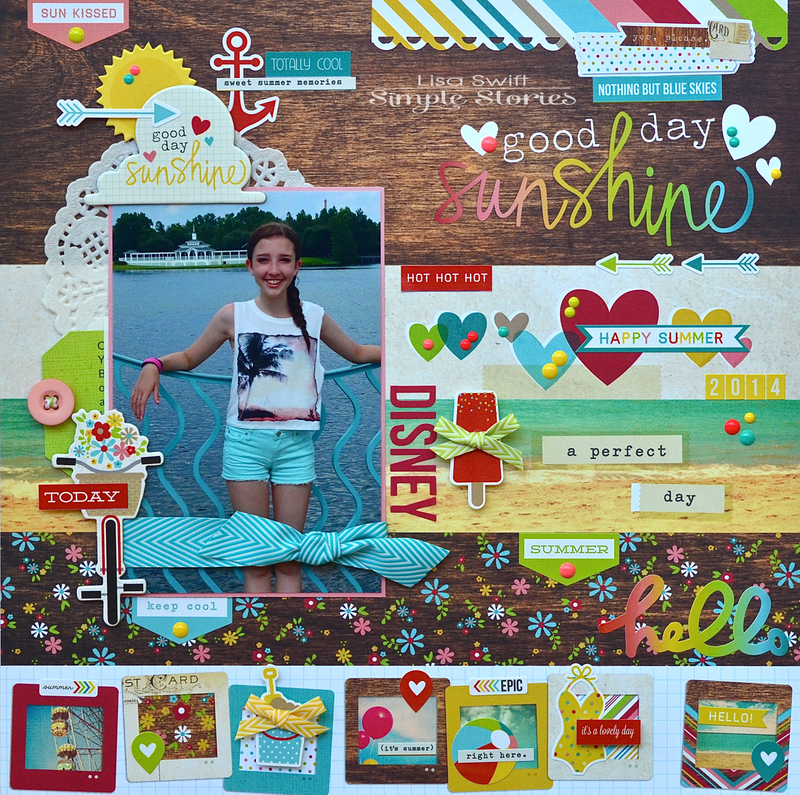 I decided to use Simple Stories new summer collection, Good Day Sunshine. A summer collection? On a dance-themed page? You bet! There's plenty about this collection that works for summer memories, but the rainbow colors are perfect for what I had in mind. You can get more information about this page, along with detail shots, by visiting the Simple Stories blog. S'mores are the perfect sweet summer treat (at least I think so). You really can't beat the combination of graham crackers, toasted marshmallows and chocolate.